Hi, it’s Sara from Life’s Little Sweets again! 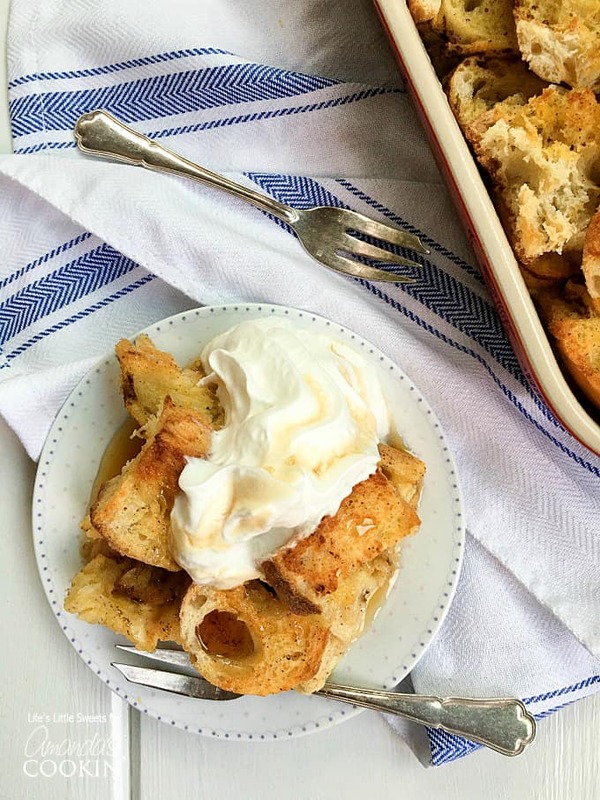 Doing the easy prep work ahead of time has delicious benefits when it comes to this French Toast Casserole. 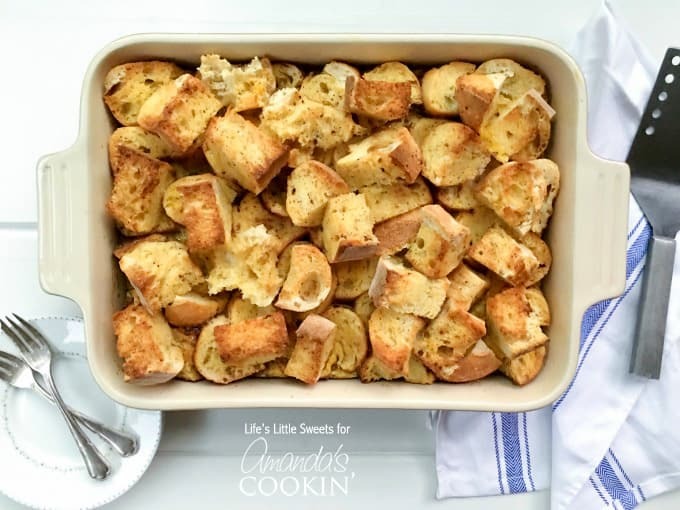 Using French baguette bread brings the casserole together nicely and gives it a hearty texture. If you want to make the bread from scratch, my No-Knead Bread works well and I would suggest making 2 round loaves just to make sure you have enough to fill the 13″ x 9″ pan and you might have some bread leftover for another recipe. 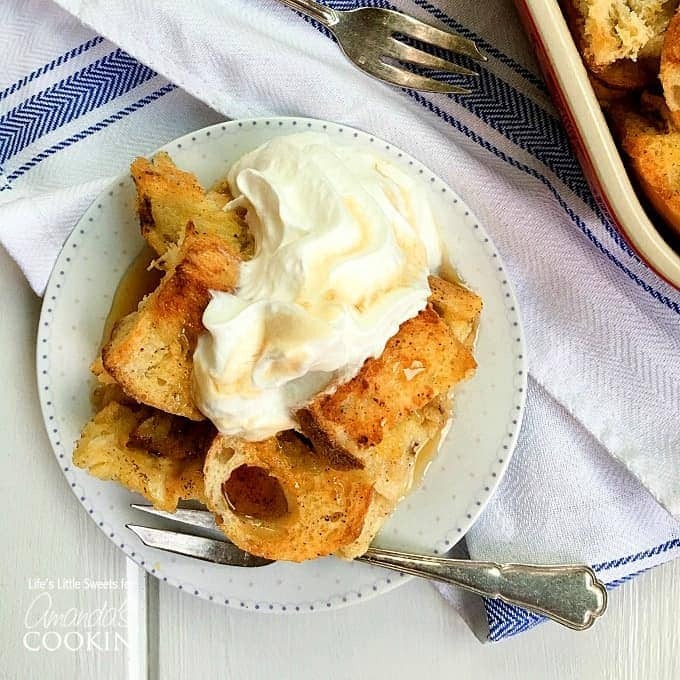 Your house will smell amazing with this French Toast Casserole baking in the oven! It’s perfect for holidays, especially Thanksgiving and Christmas when you have a house full of guests. This French Toast Casserole tastes great generously topped with Vanilla Whipped Cream and maple syrup. 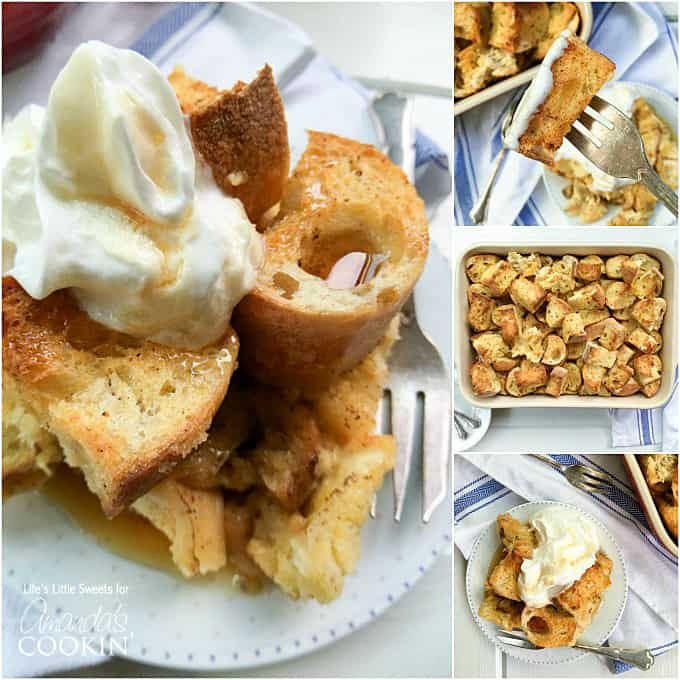 French Toast Casserole is made with 2 crusty French baguette loaves, and has all the delicious flavor and spices of French toast just in casserole form to feed a crowd! Assemble this the night before and toss it in the oven in the morning! Grease a 9" x 13" baking pan. Arrange cut bread in the pan in 2 even layers. 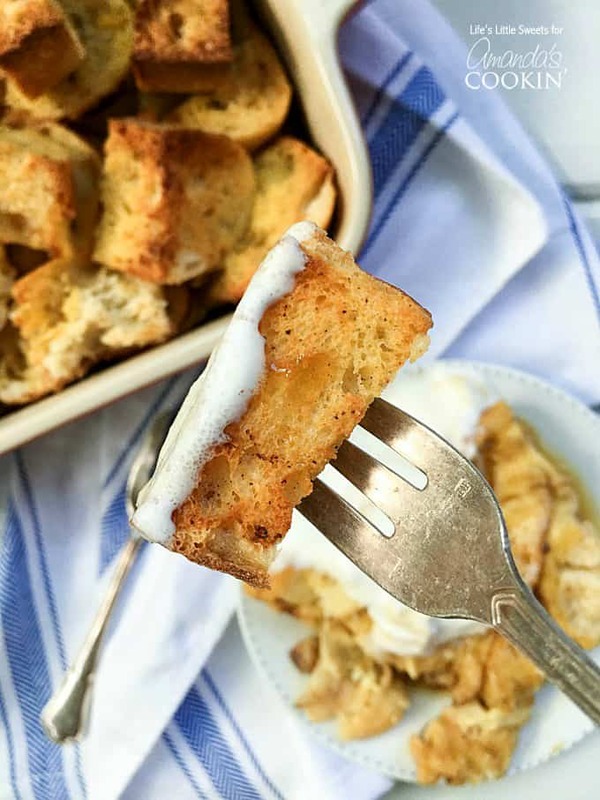 In a large mixing bowl, combine eggs, whole milk, sugar, vanilla extract, cinnamon, nutmeg and salt. Pour mixture evenly over the bread. Dot the top with 2-5 tablespoons of butter, depending on preference. Cover and refrigerate overnight allowing the bread to soak up all the mixture. The next day, preheat the oven to 350 degrees F. Take casserole out of the fridge and bake for 40 minutes, check if it's done, if it is still liquid-y in the center, rotate dish 90 degrees and leave in for an additional 15-20 minutes, you will want to put a foil tent on top to prevent the tops of the toast from browning more. 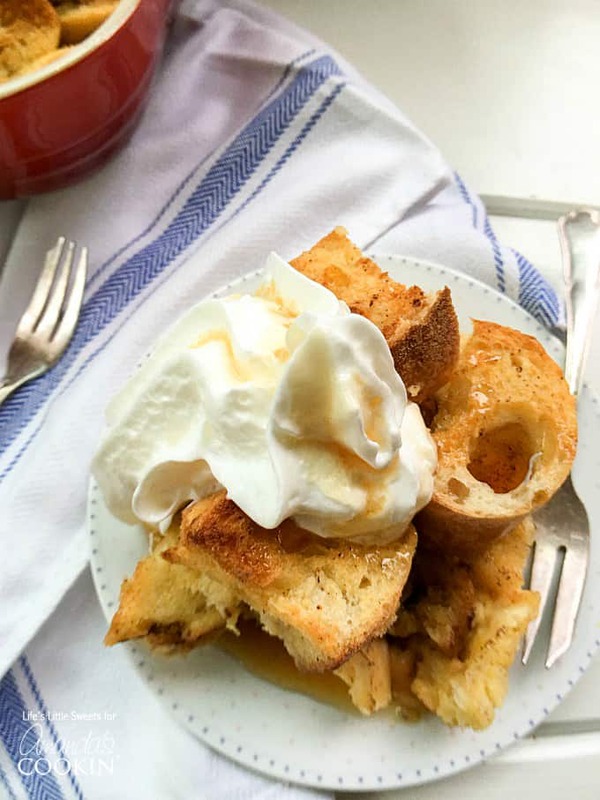 Serve topped with Vanilla Whipped Cream and maple syrup. Enjoy! 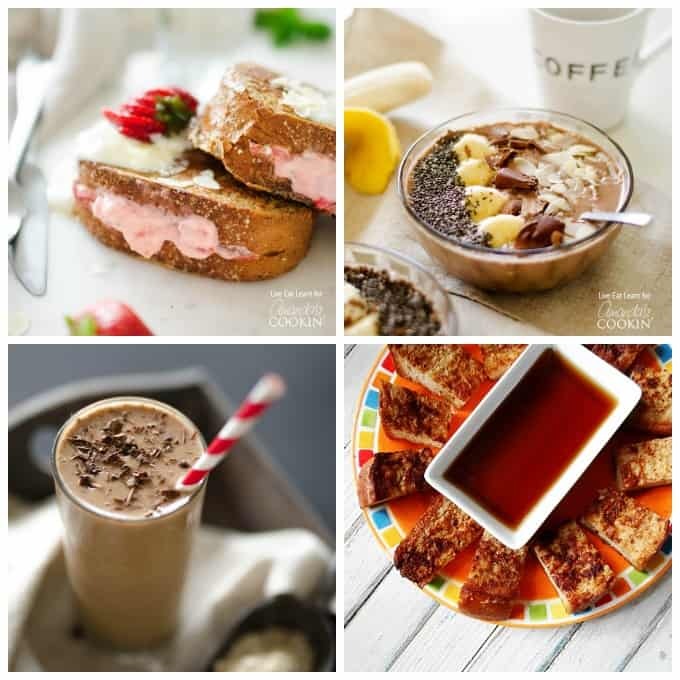 This recipe takes inspiration from The Food Network.